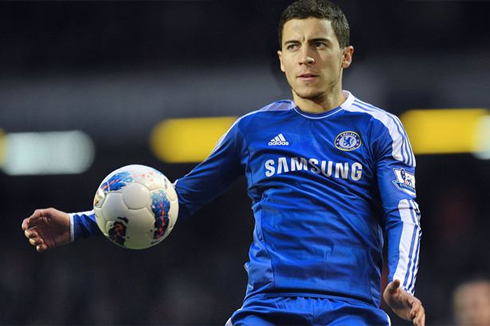 ﻿ Eden Hazard: "I get inspired watching Cristiano Ronaldo and Messi videos"
01.06.2012 » Eden Hazard: "I get inspired watching Ronaldo and Messi videos"
Eden Hazard has been on many newspapers headlines this week, after revealing his decision to move to Chelsea FC, right next season. The Belgium player was also keen to admit that a big part of his inspiration in football, comes from watching videos of Cristiano Ronaldo and Lionel Messi. 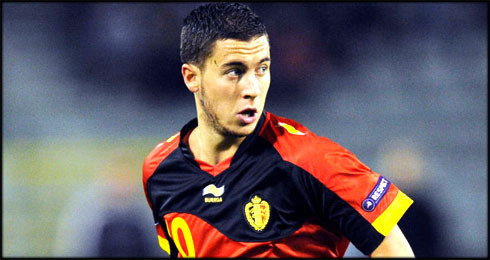 Now being 21-years old, Eden Hazard is Belgium's hottest prospect, even though his country failed to qualify for the EURO 2012, that is set to start in a week from now, on June 8. The new Chelsea FC signing, Eden Hazard, is one of those players that most football fans should be disappointed for not having the chance to see him in action in the upcoming EURO 2012. 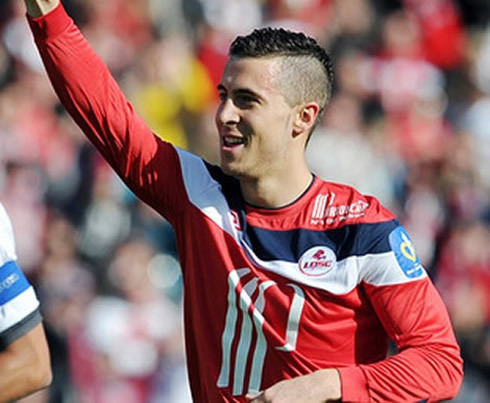 The Belgium phenomenon has played in France for Lille OSC over the last 5 seasons and has just disclosed a few days ago that he'll be moving to the current UEFA Champions League winners, Chelsea FC. Alongside with that revelation, Hazard also didn't have problems in admitting that he often gets inspiration by watching Cristiano Ronaldo and Lionel Messi videos. With Chelsea's presence assured for the next season's Champions League, the Belgium wonder kid is now likely to finally have the chance to meet either the Portuguese or Argentinian star on the pitch. 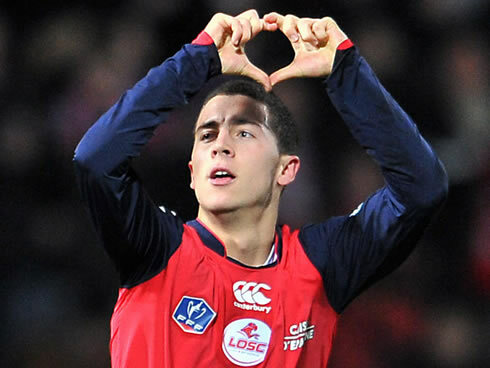 Currently aged 21, Hazard has already pulled off some very interesting numbers pver the last years, while playing for Lille OSC. 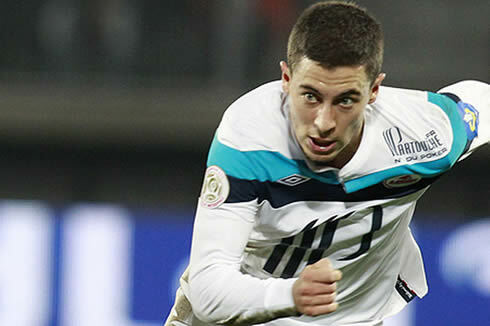 With Belgium out of the EURO 2012 race, Eden Hazard won't have the opportunity to improve his numbers on an international level, as he records 27 appearances and only 2 goals for the Belgium National Team. After announcing in first hand his decision of tranferring to Chelsea FC, in a transfer fee estimated to be around £32 million pounds (roughly 40 million euros), Eden Hazard has taken the opportunity to also speak a bit about his origins and life story. 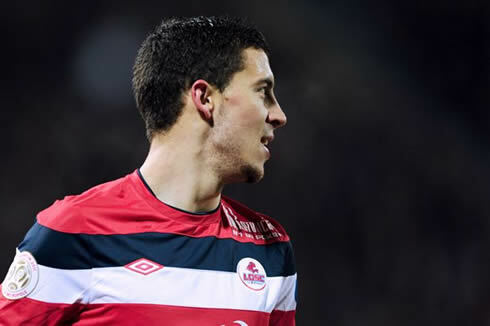 Hazard: "When I was a young kid, I was just like any other teenager. I've played in a small club near home, but I can tell you that I've learnt most of what I know today from my family. I've always wanted to be like my father, who was also a football player back in the days. I still remember the first pitch and club that I've played for, which was Braine-le-Comte and the field was just a few meters away from my home. I get stunned with how fast I developped and these days, sometimes I lie in bed and dream about becoming the European footballer of the year", said the Belgium rising star, who aims at turning one of the best players in the game over the next years. Not many players open their game when it comes to reveal if they follow closely any other athlete. It clearly isn't the case with Eden Hazard, as the Belgium confessed to admire Real Madrid's Cristiano Ronaldo and Barcelona's Lionel Messi. Hazard: "It's no secret that a lot of football players watch videos of others. I'm not scared to disclose that I often watch football videos from Lionel Messi as well as Cristiano Ronaldo. I watch them when I'm looking to get some inspiration! ", remarked the Belgium wizard. However, there's also another player who Hazard seems to respect a lot and that's his former Lille OSC teammate, Gervinho. The 25-years winger is now playing in Arsenal and will have the chance to meet his good friend on the pitch, over the next English Premier League season. Hazard: "Great players can really inspire you. I also have to say that the best player who I've played with so far was Gervinho. We are two very different players, with different qualities, but we had our own ways of making the difference for Lille in a game. I've also learned a lot from him and he's great at picking the right moments to do his tipically runs towards the opponent's area", said Hazard when praising his former teammate, Gervinho. Even though he has been compared with Cristiano Ronaldo in the past and for multiple times, Hazard revealed a special joy for a particular play in games, which we have to say that we don't see the CR7 doing it that often. Eden Hazard: "What I like doing the most is the nutmeg [passing the ball between a defender's legs]. I don't prepare it with anticipation before a play or a game, but it comes naturally and instinctively during a match. But I also have to say that my left foot isn't as strong as my right foot and that can be a problem sometimes...", noted the new Chelsea FC player. Real Madrid will be back in action on July, by the time the club's pre-season is scheduled to start. In the meanwhile, Cristiano Ronaldo's next game will be for Portugal, in a friendly game against Turkey, on June 2, in order to start the preparation for the EURO 2012. You can watch Juventus live stream, Portugal vs Turkey, Spain vs South Korea, USA vs Brazil and Boston Celtics vs Miami Heat, all from our sports live streams section. Cristiano Ronaldo will most likely be on the line-up, when Portugal hosts Turkey in Lisbon, this Saturday night.